This is what you might call an awesome big brother moment. 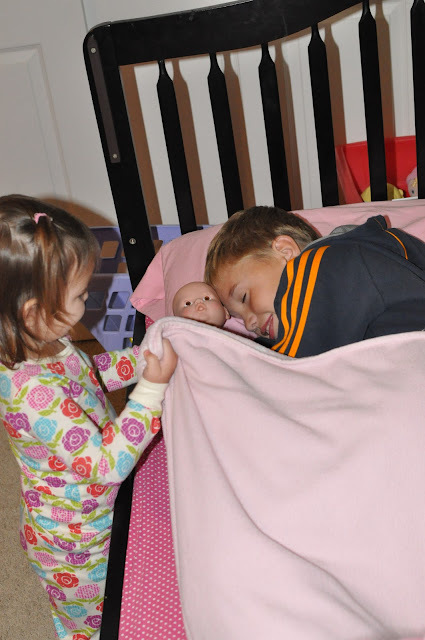 He allowed her to tuck him in with Laura (Carli Grace's baby doll). 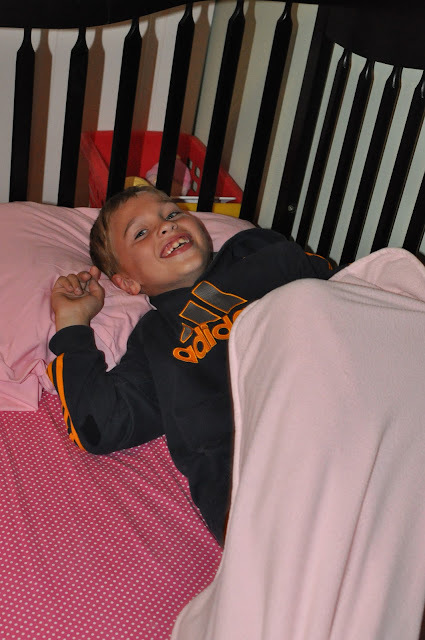 And even pretended to go nigh-night. In fact, he was such a good sport it will be hard for me to use these pictures against him someday in his dating future. Hard...but not impossible.